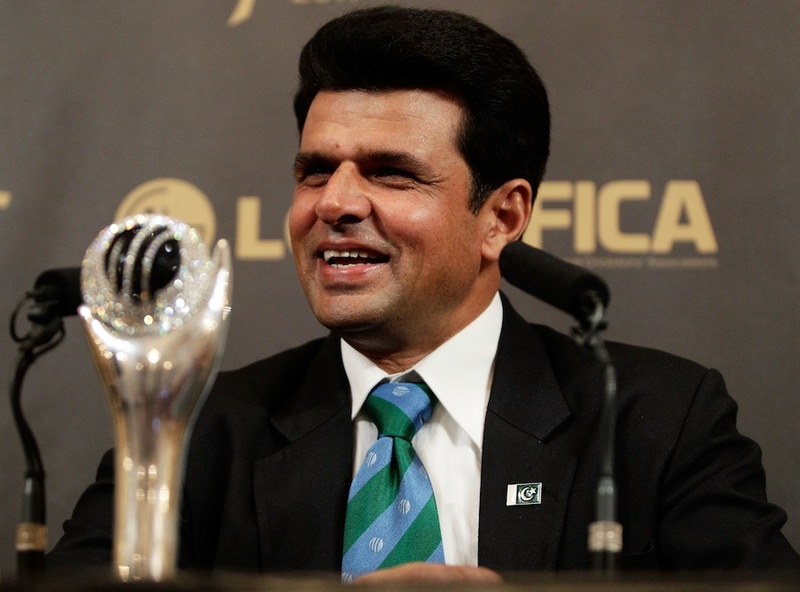 Aleem Dar, the all famous Pakistani Umpire has won the David Shepherd Trophy for the ICC Umpire of the Year for the third year running. He was in competition with Ian Gould, Steve Davis, and the five time winning Australian Simon Taufel. 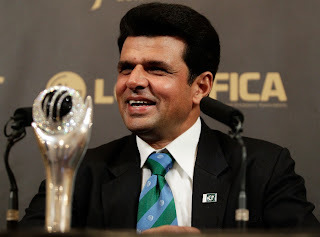 Dar has officiated in five Tests and 13 ODIs during the voting period, including the World Cup final between India and Sri Lanka.This also included 16 successful UDRS referrals which ultimately turned to Dar's favour during the World Cup. He was voted to the award by the 10 Full Member captains as well as the eight-man elite panel of match referees. He accepted his award from ICC Hall of Fame 2011 inductee Alan Davidson. "It's a great honour and I'm thankful to everyone at the ICC and also my colleagues on the Emirates Elite Panel of ICC Umpires along with the Pakistan Cricket Board," Dar said. "I'd like to also thank all my family for all their support since I'm away nearly eight months of the year umpiring."